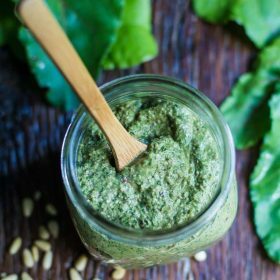 A fun and unique way to use those beet greens (which are PACKED with nutrients), I’m maybe a little obsessed with this Beet Greens Pesto. This year, on somewhat of an impulse, I planted a bunch of beets in my garden all at once. The problem with planting them all at the same time is that they will all be ready to pull out of the ground and eat, all at the same time. So, a couple weeks ago I found myself with a basket full of beets. I also knew that I really wanted to utilize the greens since they’re said to have more nutrients in them than even kale and spinach. Some of the greens I used in my daily green smoothies but I still found myself with a rather large amount left over. So, I decided to try the beet greens in a pesto. As you might expect, it has a milder and more earthy taste than traditional pesto. 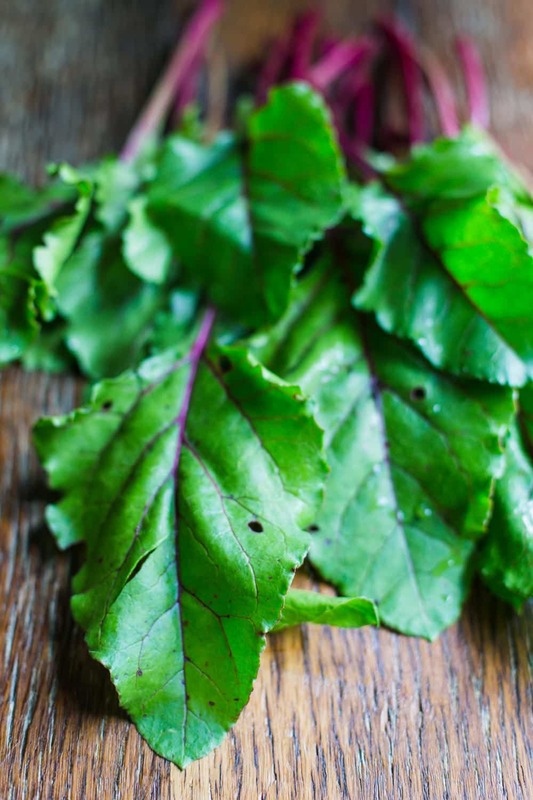 The recipe I’m sharing today is for pure beet green pesto but there are so many things that you can do with this. I would use this as a base and add to it. 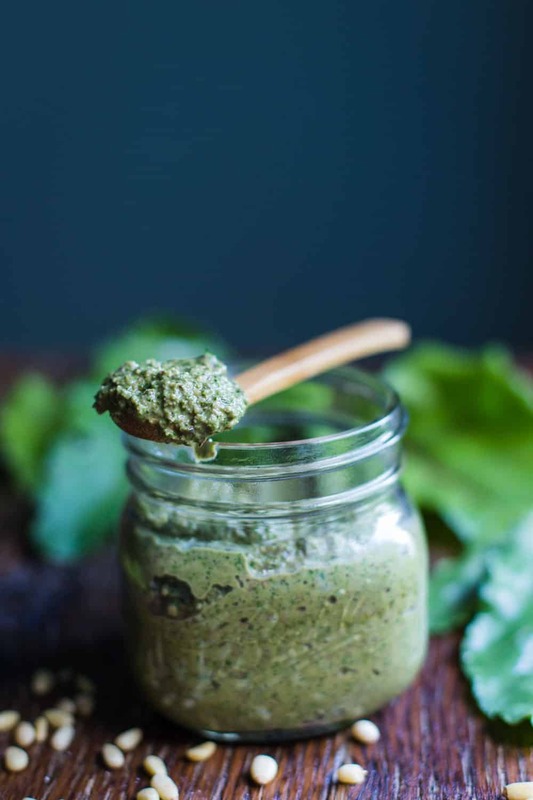 I made the beet greens pesto plain, split it up into a few small batches and tried adding various herbs to it to see how it tastes. Both parsley and basil were great additions! I used pinenuts, although I’ve seen pestos made with a variety of different nuts and instead of traditional parmesan cheese, I used THIS Vegan Parmesan cheese that I’m obsessed with and keep on hand at all times (<<<<seriously SO good and delightfully simple to make). I also used this lemon infused olive oil from Trader Joes that I’m using on pretty much everything at the moment. ps- Trader Joes haul with my fav items is coming to the blog in the very near future!! 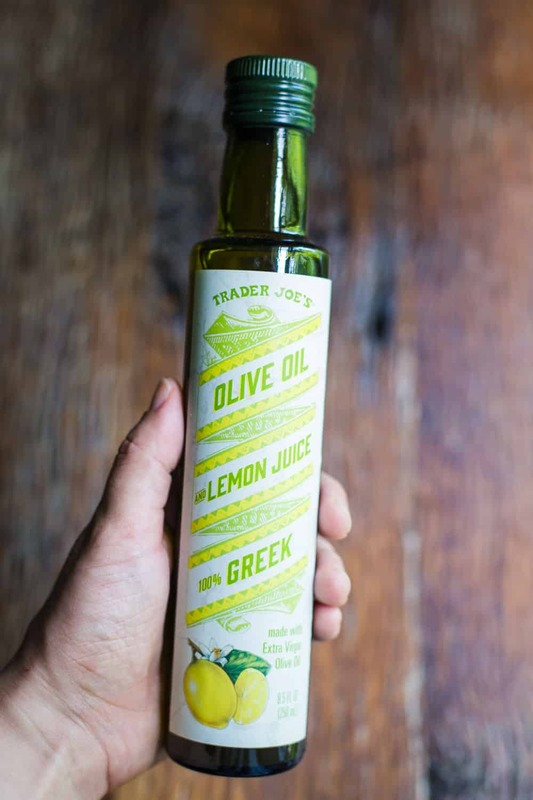 Expect to see this olive oil on the list. 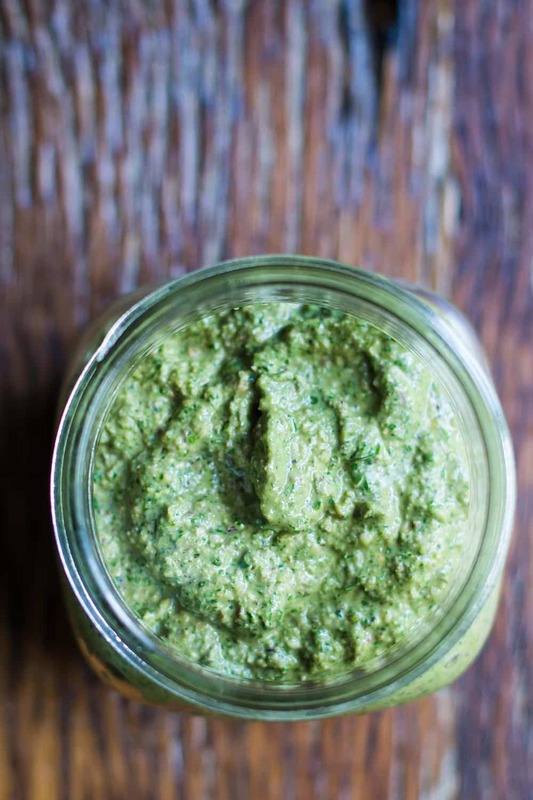 The other great thing about pesto: it takes a very minimal amount of effort to make. All of the ingredients are placed in food processor and blended until they’re mostly combined. 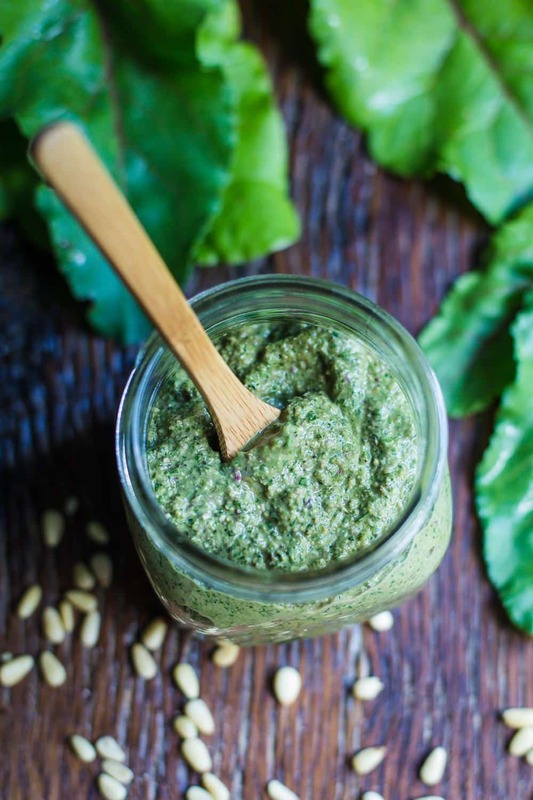 This Beet Greens Pesto will last in the fridge for up to a few weeks. I used it on toast, over pasta, as a dip with a little extra cheese sprinkled over top. It’s yummy, healthy, and nutritious. win win win. I hope that you have a very lovely Monday, friends!! 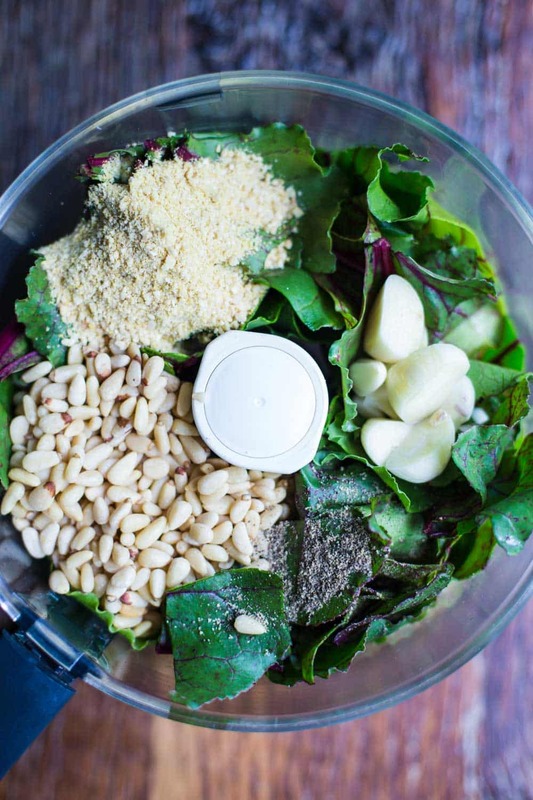 In a food processor, combine all of the ingredients minus the olive oil. Begin to blend while slowly adding in the olive oil until the mixture is fully blended and the olive oil is fully added. Serve over toast, mixed in with pasta, as a dip for chips, and ENJOY! !